Project Mu Teflon Brake Line Kits - Dezod Motorsports Inc - Home of the automotive performance enthusiast since 2002. Project Mu Teflon Brake Line Kits have continuously proven its performance by the numerous top racing results and its vast popularity. Unlike the usual 2 layer construction, Project Mu Teflon Brake Line Kits utilizes the triple layered construction for heat resistance and durability. 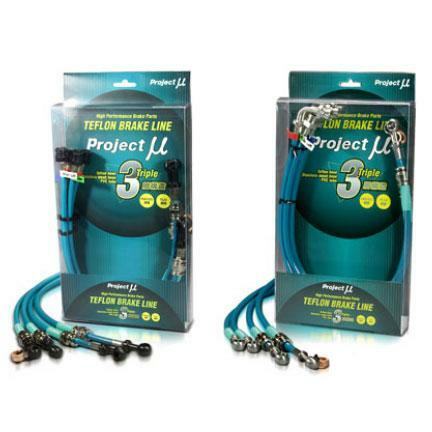 Project Mu Teflon Brake Line Kits provide the ultimate in high performance and reliability.